Khalsa slipped down to fourth in the league after suffering defeat at the hands of Boldmere. 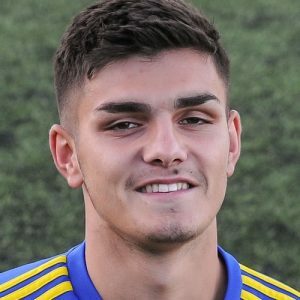 Truth be told, Khalsa could have no complaints, waiting until the hour mark before they really turned on the style only to find themselves facing an inspired goalkeeper in the shape of Lewis Fenney and two on-form centre halves in Harry Craven and J’Cee Abraham. On five minutes, former Khalsa striker Rikardo Reid had a great opportunity in the box but his unconvincing finish gave Sam Arnold the time to make a save. Six minutes later, Luke Adams produced a good cross from the left and Carlo Franco connected with the header only to put the ball wide. Feeney made the first of several good stops on 15 minutes, getting a decisive hand to Dan Westwood’s low shot after good work by Dave Meese and Rico Taylor. Boldmere took the lead on 20 minutes, Ben Usher-Shipway’s fine right wing run and cross finding Reid in acres of space to have the easiest of tasks to score. Two minutes later and it was almost 2-0, Arnold spilling a cross and Ryan Shaw really should have put his side further ahead. Another good save by Feeney on 30 minutes, Adams once again producing a good cross from the flank, this time finding the head of Meese whose effort was pushed away. Just before the interval Khalsa had two chances to go in level. First, Craven deflected over a Westwood shot on the turn and from the resulting corner Feeney made another good stop to deny Tes Robinson. Khalsa returned after the break all at sixes and sevens and Boldmere should have been two up within seconds of the restart. Usher-Shipway again caused the problems on the right, feeding Reid once again who somehow got the ball caught under his feet with the easiest of tasks, enabling Arnold to half clear the ball to Usher-Shipway whose cross eluded everyone and struck the post. Boldmere did double the lead on 55 minutes, substitute and former Khalsa man Luke Shearer feeding Usher-Shipway to score the goal his performance deserved. A triple substitution by Khalsa boss Ian Rowe – Liam Armstrong, Jay Holdcroft and Josh Thomas entering the fray in place of Alex Perry, Mensah Kinch and Adams – changed the dynamic significantly as the home side went in search of an unlikely comeback. Feeney pulled off a good save from Westwood on the hour and two minutes later Lee Chilton fired wide from a Meese flick on before Feeney made the pick of the bunch of great saves from Armstrong on 77 minutes, a low stop from distance. And when Feeney was finally beaten, Thomas’s effort from range struck the inside of the post and bounced across goal to safety. With five minutes to play and Khalsa getting the feeling it just wasn’t going to happen, Feeney acrobatically saved to push away a Meese volley. Sporting Khalsa: Sam Arnold, Carlo Franco, Luke Adams (Josh Thomas), Leon Miles, Tes Robinson (captain), Alex Perry (Liam Armstrong), Rico Taylor, Dave Meese, Dan Westwood, Mensah Kinch (Jay Holdcroft), Lee Chilton. Subs not used: Adam Osbourne, Shawn Boothe.